Vidgo is a simple, affordable, and portable way to watch TV. It’s a TV app, designed here in the USA by engineers who love to watch TV in the most efficient way, on the go and in high resolution. If we were going to get all technical, we would define VIDGO as an over-the-top streaming TV service or OTT, but you just probably want a better, more convenient way to watch your favorite shows and movies, without the technicalities. The app will work on internet-connected devices, such as TV, Roku, Amazon Fire Stick, iOS, Android, tablets, Apple TV, game consoles...you get the point. 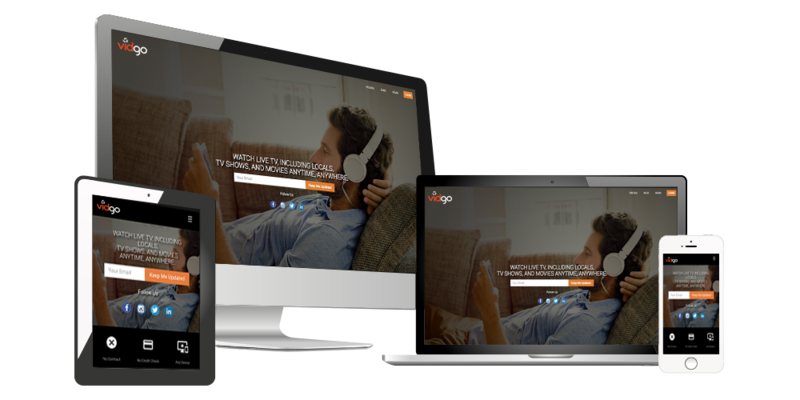 On top of that, you will be able to record your shows on a cloud-DVR, access the app from multiple devices simultaneously, and enjoy an extensive on-demand catalog. All those benefits at a very affordable price. The app will be available very soon. To receive updates about the upcoming launch, leave us your email, so we can send you a message as soon as the Vidgo app becomes available.